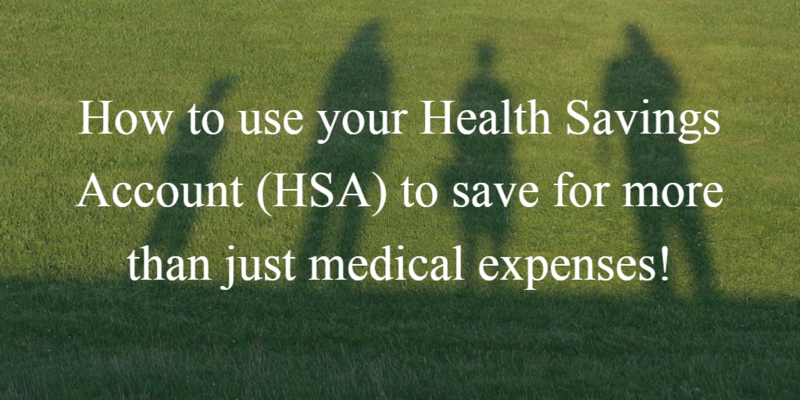 How to use your Health Savings Account (HSA) to save for more than just medical expenses! As financial planners, we are always looking for tricks to maximize the usefulness of the tools available to our clients to help them meet their goals. One of these tricks that has recently been getting more widespread attention involves the increasingly common Health Savings Account. Here are the basics, the Health Savings Account exists as a way for individuals and families to save for future medical expenses in a tax-advantaged manner. Put simply, contributions to your HSA are tax-deductible and money withdrawn for “qualified” medical expenses can be withdrawn tax-free. This is the best of both the deductibility of an IRA, and the tax-free distribution of the ROTH IRA! It’s the only type of account where you get the best of both types of accounts. This makes a properly funded HSA a very powerful tool in your toolbox. Currently, there is no time-limit on seeking reimbursement for your medical expenses and this is where the opportunity to increase the utility of the HSA presides. As most HSA providers have the options for balances in the accounts to be invested in mutual funds, it is possible to invest the funds in your HSA and have them grow over time. When medical expenses arise and cash flow allows, you can pay these expenses out-of-pocket. Keep documentation of the expense incurred and submit for reimbursement in the future to withdraw funds from your HSA to pay you back for a “qualified” medical expense. Using this strategy allows HSA owners to access HSA funds in the event of unexpected expenses that may not necessarily be medically related in the future. Who knows if a time-limit will be added with future legislation or guidelines, but for today it may make a lot of sense for those that are able to incorporate this strategy into their savings plan! This article represents opinions of the authors and not those of their firm and are subject to change from time to time, and do not constitute a recommendation to purchase and sale any security nor to engage in any particular investment, tax, or legal strategy. The information contained here has been obtained from sources believed to be reliable but cannot be guaranteed for accuracy.